Children love their colours and each has a personal favourite. Coloured Kun shoulder rests make playing and practicing more fun for kids. 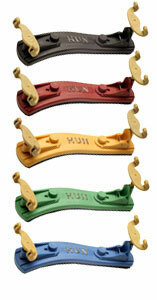 Kun Collapsible Mini rests brown, red, blue, yellow and green.